Delight in the nostalgic charm that is Room with Roses. 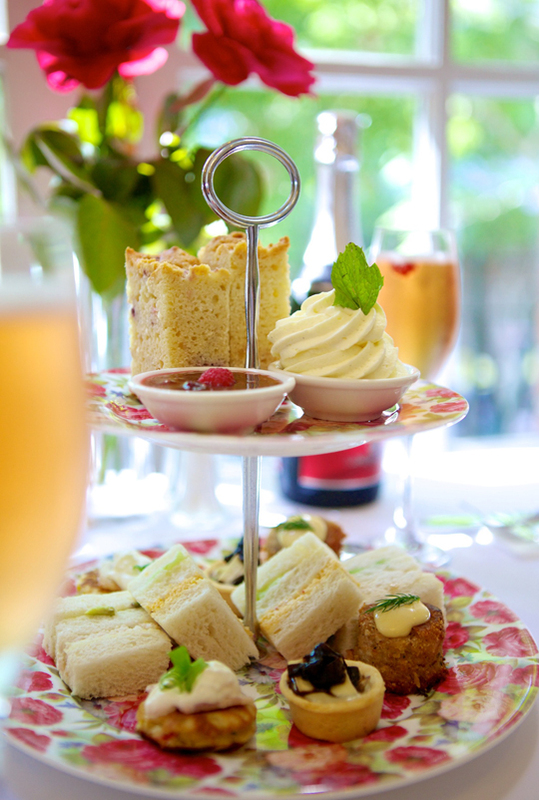 Be transported back in time when you take high tea at Brisbane’s Room with Roses. 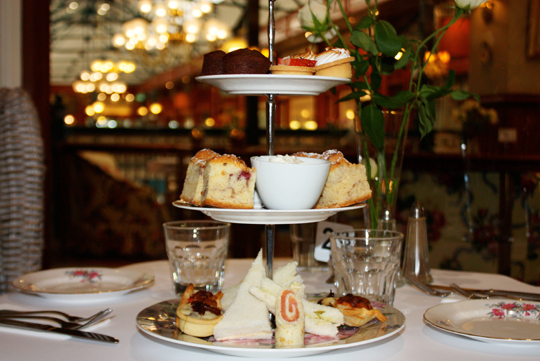 Situated in the iconic heritage listed Brisbane Arcade, this high tea is truly an experience of the senses. 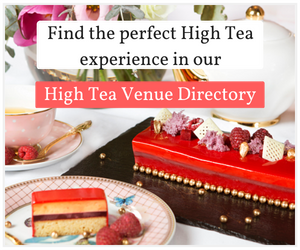 Almost immediately you can see why this establishment was recently named one of the top five places to take high tea in Australia by Vogue Living. Immediately upon entering the aptly named establishment you are seated at a table with fresh roses and matching décor. The mostly vintage inspired furnishings are a throwback to the excitement you felt at being allowed to sit in your Nanna’s fancy dining room – the room with the good furniture saved only for when special guests visited. 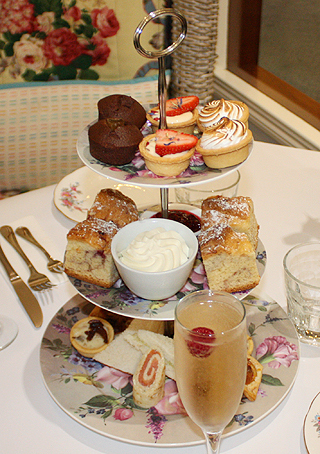 It wasn’t long before we were served our Deluxe High Tea and owner Vicki was kind enough to take us through the menu. Having owned the venue for seven years, you can see that Room of Roses is more than just a business but a passion for this proprietor. Every item on the menu has been carefully selected and is either her own or her late mother’s recipe. 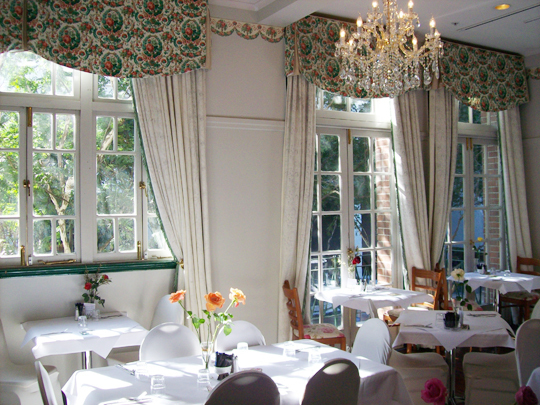 Room with Roses pays homage to the famous recipes of the Country Women’s Association with real honest food, cooked to perfection. The phrase ‘cooked with love’ was coined for the type of food served at establishment. 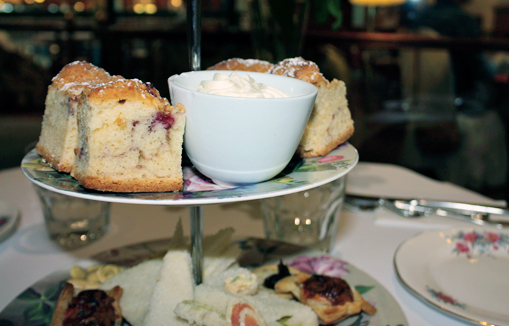 The Deluxe High Tea begins unconventionally with the middle tier of scones after our server informed us that that the scones – baked with fresh raspberries – are best eaten while still warm. Served with homemade raspberry jam and Chantilly cream, they were deliciously moist and satisfying. 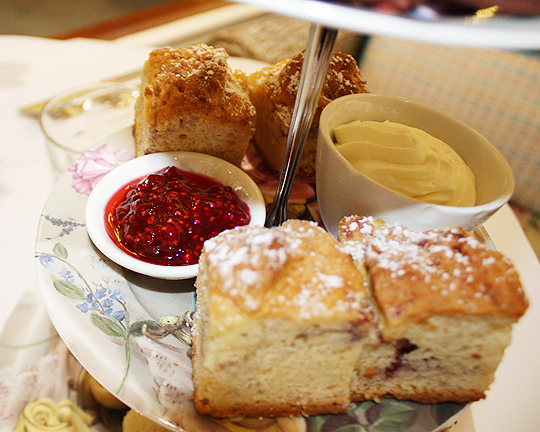 The raspberry jam was so scrumptious it had us scraping every last drop from our dish. 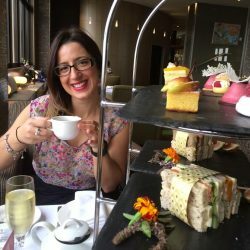 We then went on to try our bottom tier of ribbon sandwiches – one chicken and one cucumber, smoked salmon and cream cheese Roulade, a savoury tartlet and puff. 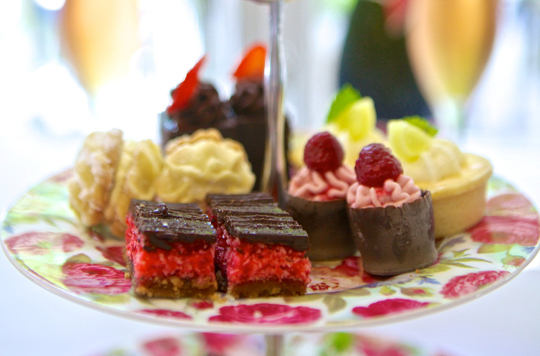 While this tier was delicious the highlight was the top tier of homemade sweets. These may change daily and are dependant on the availability of fresh and local produce. 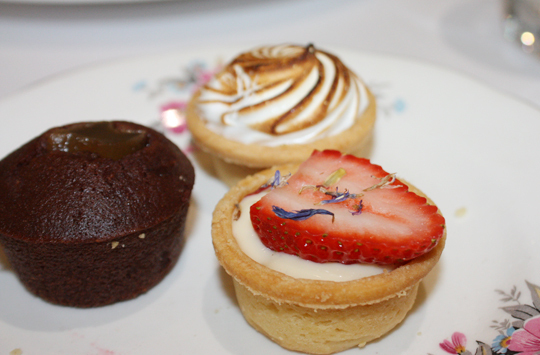 We were served mini chocolate muffins with ginger, a mini lemon meringue and my favourite – a custard tartlet topped with fresh strawberries and fresh lavender. This was truly something special. The homemade custard was accompanied perfectly by the hint of lavender. 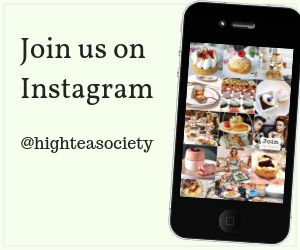 This high tea truly transports you back to a time when home cooking and quality ingredients was the pride of the family home. 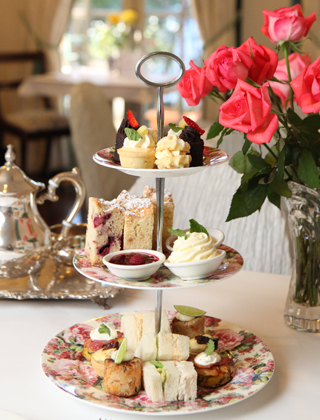 To say Room with Roses is a charming place for high tea is an understatement. Even more exciting is there vast gluten free selection, including gluten free scones – a rare find. 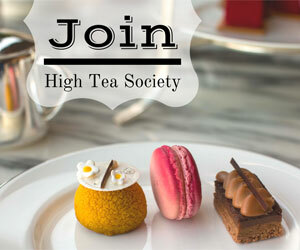 With a wide selection of teas, at just $42 per person, the Deluxe High Tea at Room with Roses is extremely good value for money. The menu also offers added extras like sparkling wine and their delicious homemade fresh raspberry and fruit punch – worth every cent of the extra $10 per glass.